Available in the U.S. market only, Jinyu Ukiyoe label series features Ukiyoe masterpieces "Kabuki" and "Woman Blowing Vidro" aka Young Woman Blowing a Glass Pipe. 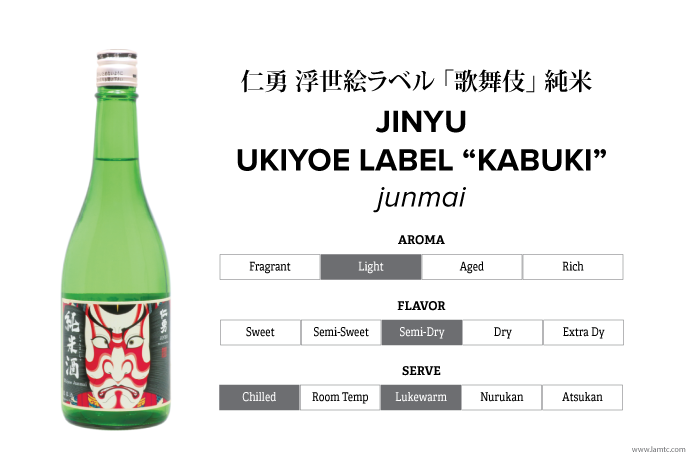 The "Kabuki Label" is made with a subtle, semi-dry acidity, and the gentle aroma of Junmai. 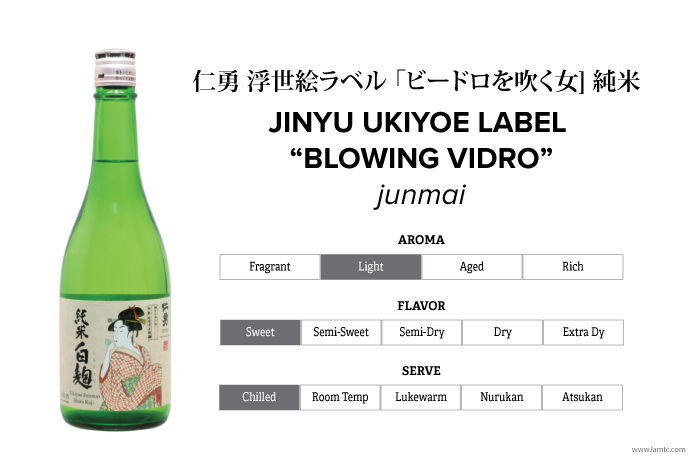 The "Woman Blowing Vidro" is characterized by its white Koji, used to create a refreshing balance of citrus acidity and sweetness.